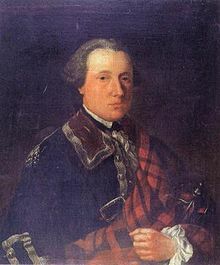 Helen Campbell, relict of Laurence Crawford of Kilbirny, and Archibald MacLachlan of Askog, now her spouse, on the one part; and Mr. Thomas Marjoribanks of Ratho, tutor dative to John Hamilton, younger son to Grisel Sempill, daughter to Robert, Master of Sempill, and to William Hamilton, his brother german, on the other part, regarding the lands of Over-Mains of Kilbinry and others, 27 October 1550. Contract of marriage between Laurence, Lord Oliphant, and Jane Oliphant, his daughter, on the one part; and William Moncrieff of that Ilk for himself, and William Moncrieff, his son and heir apparent, on the other, for the marriage of the said Janet and William, younger, dated 1 May 1550. Contract of marriage between William Murray of Tulliebardine and Euphame Murray, his daughter, on the one part; and Henry Stewart of Rosyth and Robert Stewart, his son and apparent heir, on the other part; for the marriage of the said Euphame and Robert, dated 6 September 1550. Contract of marriage between Andrew Murray of Blackbarony on the one part; and Dame Grisell Bethune, relict of Sir William Scott of Kirkurd, dated February 1551. Contract of marriage between Archibald Douglas of Glenbervy for himself and William Douglas, his son, on the one part; and Robert Graham of Morphy and Geilis Graham, his daughter, on the other part, for the marriage of the said William and Geilis, dated 14 February 1551. David Hamilton of Fingalton and Mathew Hamilton of Mylnburne, to James Cockburn of Langton and Alexander Cockburn, his son and apparent heir, who oblige themselves to relieve them at the hands of Patrick Crumby, son and heir of the deceased John Crumby, anent the tacks which the said John had of the Mains of Carriden, dated 17 February 1551. James Fenton of Ogill, with William Lyon of Easter Ogill, as cautioner, to David Fenton, fiar of Ogill, his "oy" and Elizabeth Erskine, his wife - Obligation to lay out for their benefit the price of Fermartoun and others, resigned ad remenatum in the hands of David, Earl of Crawford, and Dame Katherine Campbell, Countess of Crawford, his wife, dated 8 December 1553. David Ogilvy of that Ilk; to John, Lord Innermeath, the deceased Sir Walter Scott of Branxholme, John Bethune of Balfour, Mr. Stevin Bethune and Isabella Bethune, his sister german, daughter to the deceased John Bethune of Creich. Act of acquittance for all provisions of the marriage contract between Gilbert ogilvy, son and apparent heir of the said David, and the said Isabella. 29 May 1554. Act of Caution for the fulfilling of a contract between David Pitcairn of Forthir, and the now deceased Henry Pitcairn, his son, with Patrick Halket of Pitfirrane being cautioner, on the one part; and Andrew Seton of Parbroath, and Christian Seton, his daughter, dated 1 February 1553/4. Contract of marriage between James, Archibishoop of Glasgow, Robert Bethune of Creich and Marie Bethune, daughter to the said Robert, on the one part; and James, Lord Somerville, and Hew Somerville, his son, on the other, dated 6 March 1553. Ratification by Jehane Hay, daughter of heir of line of the deceased George [sic] Earl of Erroll, being of the age of fourteen, and Andrew, Master of Erroll, now her spouse, of two contract between William, Earl Marschal, and george, Earl of Erroll, dated 14 January 1543 and 15 November 1551. Contract of marriage between Patrick, Lord Gray, and Elizabeth Gray, his daughter, on the one part, and Hercules Guthrie of Lunan and Robert Guthrie, his son and apparent heir, on the other part, for the marriage of the said Elizabeth and Robert, dated 18 December 1553. Obligation by Robert Collace of Balnamoon to Agnes Collace, his daughter, and Elizabeth Bruce, his wife, to pay her 800 merks of Tocher when required, dated 2 June 1554. Contract of Sale whereby Isobel Wardlaw, daughter and one of the six heirs of the deceased Andrew Wardlaw of Otterstoun, on the one part, and Walter Leslie, son natural to George, Earl of Rothes, and Elizabeth Wardlaw, his wife, another of the heirs of the said deceased Andrew, by which the said Isobel dispones her six-part of Otterston to the said Walter. Dated 27 June 1554. Contract of marriage between James Lawson of Humbie, Marion Hume, his wife, and Robert Lawson, their son and apparent heir, on the one part, and George Brown of Coilstoun, Janet Hopringill, his wife, and Margaret Brown, their daughter, on the other part, for the marriage of the said Robert and Margaret, dated 29 September 1550. Agreement between Katherine Graham, Lady Kinfauns, relict and executris of the deceased Thomas Charteris of Kinfauns, for herself and Janet Chisholm, her daughter, and John Charteris, spouse of the said Janet, (brother and heir apparent to the said deceased Thomas), on the one part; and Janet Stewart, sometime spouse to the said Thomas, on the other, by the counsel of David, Bishop of Ross, Commendator of Cambuskenneth, and William, Bishop of Dunblane, for the compounding of the said Janet Stewart's claims to her former husband's estate. 27 April 1553. Testament of Alexander Menzies of Galwell, burgess of Aberdeen, being about to ride to war, with consent of Elizabeth Keith, his spouse, by which he assigns in heritage to Patrick Menzies, his eldest son, Gilbert Menzies, his second son, and his said spouse, respectively, and appointing his said spouse and eldest son his executors. Dated 25 July 1545 and recorded on 23 June 1557 for the said Patrick against the said Elizabeth and Mr. Robert Lumsden, now her spouse. Petition by John Douglas of Pumpherston to the Lords of Secret Council relating to his rights to a pension out of the subchantory of Glasgow which had been reserved to John Douglas, his father's brother, when exchanging the said subchantory with Sir Archibald Dunbar for the parsonage of Kirkbryde, and withheld by Mr John Hamilton, now subchantor of Glasgow. 3 March 1559/60. Revocation by John Forbes, fiar of Pitsligo, who being now twenty one years of age of a interdiction contained in his marriage contract with Barbara Sandilands, now his spouse, dated 19 December 1556. Dated 16 July 1562. Caution by Robert Buchanan of Leny and Janet Graham, his wife, with John Graham of Garvock, as cautioner, to James Stirling of Keir for the removal from the lands of Enie, 5 Februart 1562/3. Contract between Mr. Andrew Arnot, parson of Touch, and Mr William Gordon, parson of Esse, whereby the said William is to have the parsonage of Touch and George Arnot "nevoy" to the said Andrew is to have the parsonage of Esse. Dated 19 March 1542 and recorded 9 March 1562/3. Obligation by David Carmichael of Balmedie to Eupham Carmichael, lady Balmanno, his sister, to repay 170 merks, dated 24 October 1558, and recorded on 12 February 1563/4 when she had remarried to John Ramsay. Contract of marriage between John Melville of Carnbee for himself and Isabel Melville, his daughter, on the one part; and Mr. William Scott, Advocate of the city of St. Andrews, on the other, for the marriage of Isabel and William, dated 13 February 1560.